Oak is a month now, a month! 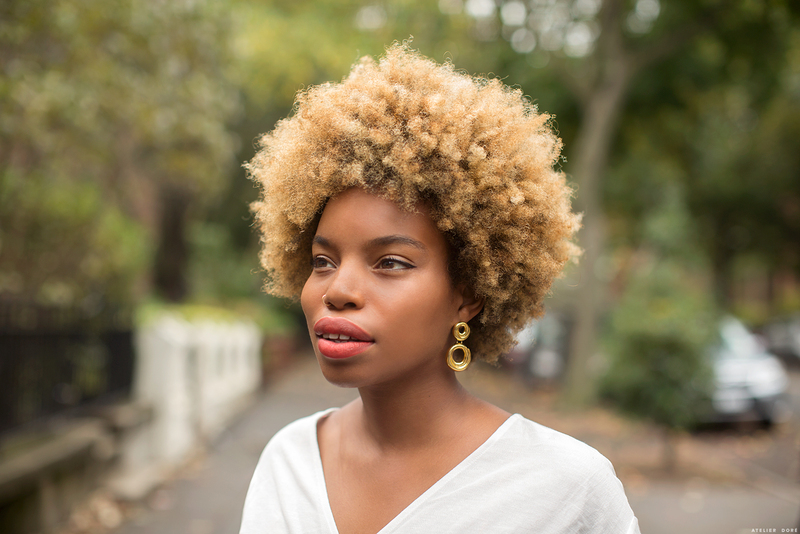 When you initially have your baby, you know time will go by fast, but it seems as if it always hits you hard when it actually hits. I had one of those “wow, what the heck time? 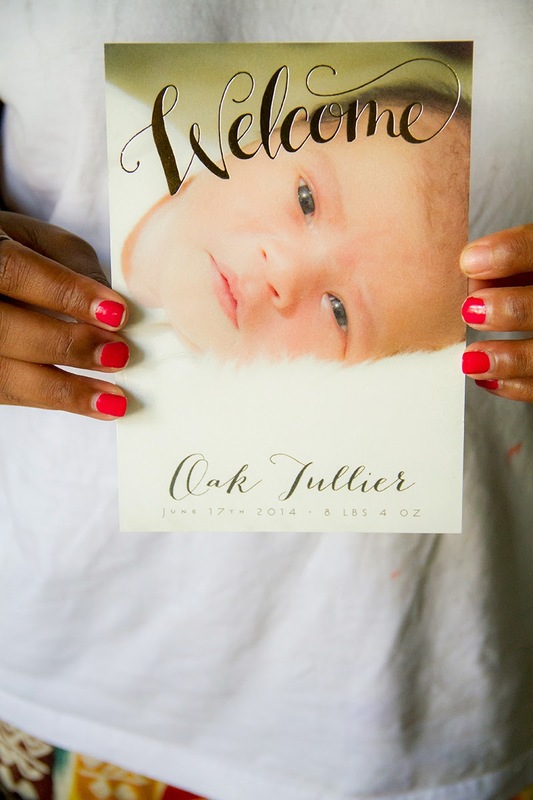 !” moments a few weeks ago when I was packing up Oak’s birth announcements. As I opened the box, I saw the face of a newborn that vaguely resembled the almost one month old baby I had in my arms. In that moment, even though I was a bit sad that time had passed so quickly, I was so happy to have these birth announcements to document those first few days of my sweet baby boy. With Oak, we decided to give all of the cute and fun pregnancy and baby things a good try, just incase he’s our last baby. Things like, our maternity shoot, cloth diapering, placenta encapsulation, a natural birth, and now birth announcements. 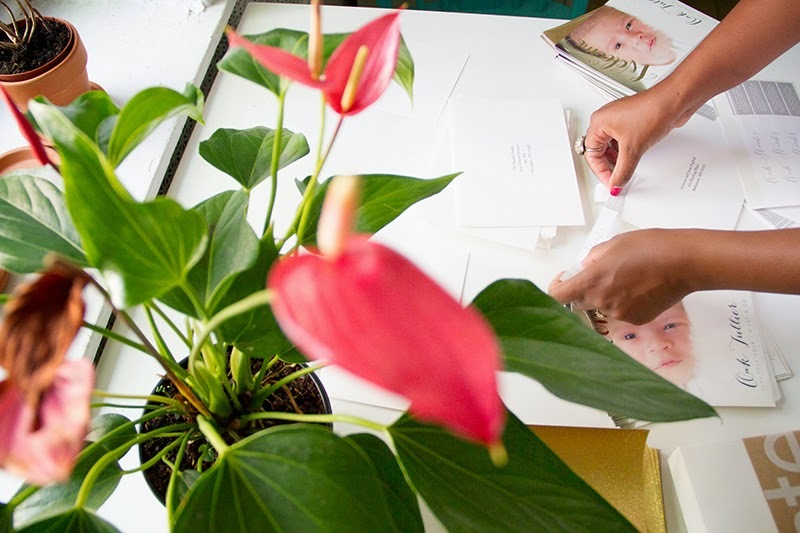 Sending out actual birth announcements this time around was something that meant so much to me. With the growth of technology, it’s easy to simply send a text letting family and friends know of your baby’s arrival, but actually sending it on paper (after the texting of course) felt like a true stamp of his arrival! Our family in particular is a family that is all about the value of a simple letter & real mail. We often receive postcards and little letters from Peter’s parents for River weekly. My mom still sends a birthday card in the mail that usually arrives the day of or the day before my birthday, even though she will see me on my birthday. With that knowledge, I knew our family would appreciate these announcements as much as I did. 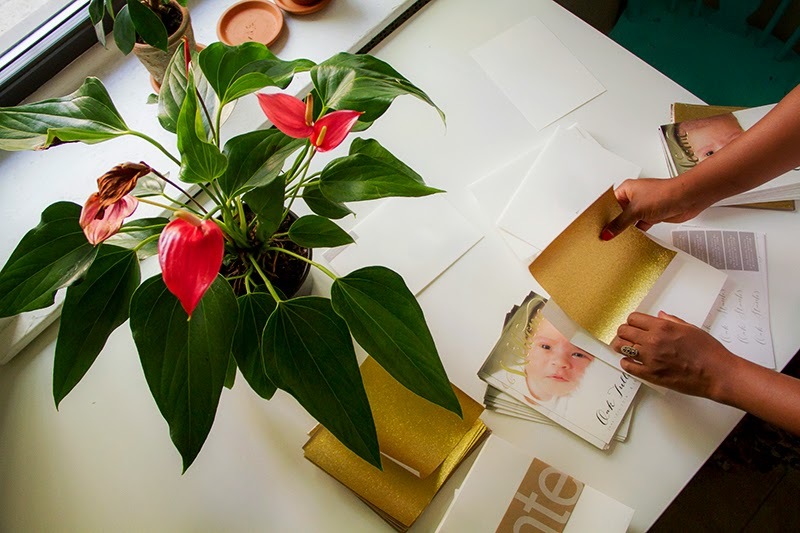 Minted was nice enough to gift us their new foil- pressed birth announcements. I don’t think these pictures do them justice at all. Each announcement looks and feels beautiful and is customizable to your liking. We chose a simple “welcome” design with Oak’s name, birth weight and birth length in the front. We also chose to add a funny picture of him on the back, and I fought hard for that glittery gold envelope insert, it’s perfect right? The whole process was ridiculously easy, which is something a new mom needs during those first few weeks. I was actually able to start on the birth announcements before he even arrived, which was a fun task to keep my mind occupied while we played the waiting game. 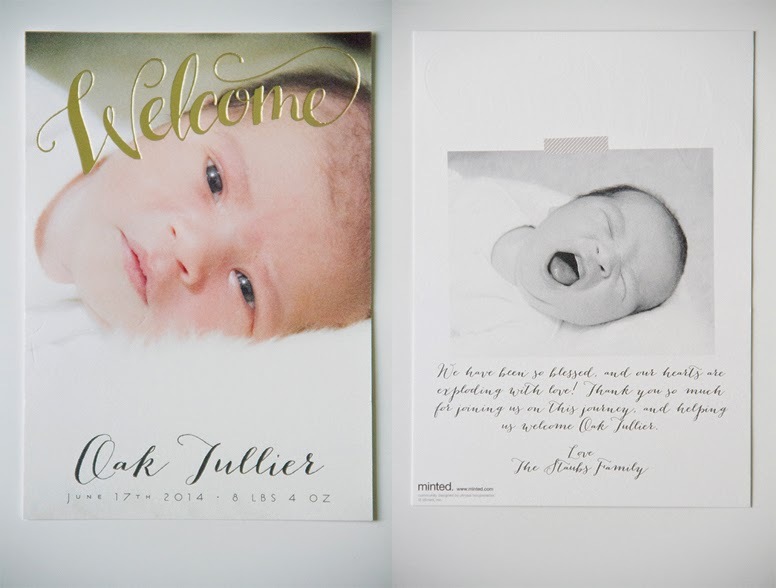 Between having the envelopes already addressed to each family and friend by the Minted team, and having the return address labels also already printed by Minted as well, I was able to enjoy the step by step of sending out Oak’s birth announcement in the form of “real” mail even more. The responses I received from everyone in regards to the announcement inspired me to take the time to send letters and cards to people I love more often. Sometimes texting is enough and sometimes, times like these-the eventful and joyous times, it’s just not. I’m so excited to show Oak these when he’s older, but for now more cuddling! This post was in partnership with Minted, thank you so much for supporting my partners who I wholeheartedly believe in. They're beautiful. Love the gold insert + that sweet, silly little snapshot on the back! And that's so great they took care of addressing + return addressing — sometimes I feel like that's the hardest part about actually getting snail mail to the post box.